4 Weeks Free Of Pay Per Head Service. Over 1000 Agents & 20 Years In Per head. 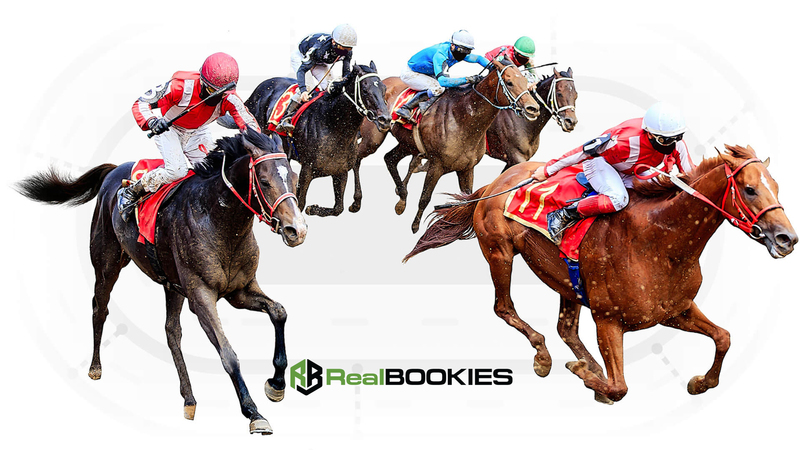 With over 20 years in the sports betting business and located in Costa Rica, Real Bookie Price Per Head bookmaking software service is the leading choice for local bookies, professional credit bookmakers and sports betting agents worldwide. We don’t have to lower our price to attract new customers like the competition, our five-star software and unrivaled customer service do that for us. Our superior PPH sportsbook software makes bookmaking easy and will put you on par or surpass the leading online betting sites as your players will be able to bet online or by phone via a toll-free number. Your clients will enjoy 24 hours a day, 365 days a year gambling, on a price per head basis. Even if you have a smaller group of players, our price per head agent package offers you the complete solution for your bookmaking needs. Real Bookie Pay Per Head Sportsbook software takes calls, record necessary information and grades the results. We offer 24/7 internet access to your players’ reports where you will see their winnings, losses and much more. Your players will benefit from an unlimited amount of wagering options and activities which include but not limited to sports betting, casino both live and computerized and horse racing in our pph sportsbook. You will also make all decisions and set guidelines, limits and/or restrictions for each bettor. Your players accounts will be fully integrated: Once logged in your clients will use the same account balance whether they are wagering on a sporting event, betting on horse races or playing a casino game. Best of all, if your players don’t make a wager, you are not charged. Sign up now and take advantage of our 4 free week trial offer and also a free demo of our software. Payperhead247.com pay per head service also offers bookies who have a large group of players a different package to suit their customer profile. Times are changing. The prevalence of online betting services and websites is making it difficult for local bookmakers to keep up. Yet the same technology that has allowed these online betting services to prosper is right at your fingertips with Realbookies. Our price per head online sports betting software is readily available for bookies whether they have a small, medium or large operation . This type of service is convenient, streamlined, and can help your business become more profitable right away and down the line. One of our professional customer service reps can will give a free demo of the pay per head software upon signing up. There is simply no denying that the Pay Per Head online sports betting software model could benefit the large majority of bookies out there. It is designed to ease your daily workload, give you the flexibility to operate in the way that you want to, and, most importantly of all, grow your business and make more money! At the very least, it is an interesting service for all bookies, from beginners to those that have been around the block once or twice, to take a look at. Below are a few of the most important things for bookies to know about what a per head business will provide. It is all too easy to become comfortable with your routine and the way that you conduct business. However, failing to utilize the latest trends and most recent technology will leave you in the dust. Realbookies business management sports betting software is perfect for bookies that otherwise do everything by themselves. Unless you work for a larger company, chances are that you are routinely swamped with mountains of paperwork and have quite a bit of money to keep track of. The concept behind our business is easy to understand. It simply allows you to connect your clients with our betting odds via a username and password generated online. This is done through an automated online system that achieves full anonymity. Basketball Teasers 4, 4.5 and 5 points. As a bookmaker, all that you have to do to use our service is pay a small fee ranging between $10 and $15 per head for each client that places a bet through our service. In fact, you don’t even have to place your client’s bet yourself. They can wager directly through our betting website with a username and password or by contacting our customer service representatives by telephone. This eliminates the need for you to get involved with taking and placing every one of your client’s bets as they come in. Our online sports betting website also includes a tracking service available to the bookie. This service allows you to keep track of and view full reports on each of your client’s bets. You can then use this data to ensure proper payment or collection. Most bookmakers zero out their clients account every Sunday or some let it roll over the following week. This will be up to you on how you want to settle with your players. Our software will also allow you to customize the odds to fit your player profile in order to maximize profits. For example, if you are from the New England area naturally most of your bets will be coming on the Patriots. If the line is at -6 at most sports books, you can set the odds at -6.5 or -7 for your New England clientele. You can also adjust the juice or the vig from -110 to -120 for anyone betting New England. This is just one of many features you can customize with our management software. Naturally, our wagering software is designed to benefit both the bookie and the client. If it were not mutually beneficial, there is little doubt that there would be little reason to use it. Betting Odds from every sport around the globe are available to bet on by your clients 24/7 in an easy and streamlined fashion. The more bets they make the more money you potentially earn. The other advantage is you can run your business from anywhere you have an Internet connection. All your reports are available online so you can keep tabs on the action no matter where you are in the world. We not only offer sports odds, but also casino and horse racing which comes at no additional cost. Once again, our pay per head software makes life easier on bookies by reducing the amount of paperwork they have to sift through on a daily basis (while also juggling phone calls from clients with new wagers). Overall organization is a positive outcome of this and is one of the first benefits of our online sports betting software you will notice as a bookie. The long-term business benefits of using our company for your online sports betting needs are even more enticing. As long as you invest in a good system, your overall bookmaking business will appear larger than it actually is. The perception of size will ultimately create a stronger feeling of trust among perspective clients and promote an aura of success around your business. A good per head company will also give you more free time. Since you will no longer have to worry about as much day-to-day paperwork, you will be able to use your open time to drum up business. Our bookie software gives the small-time bookie more opportunities to get out there and find new clients instead of swimming through mountains of work just to keep the wheels of their business spinning smoothly. Another advantage of using a per head company is that you keep 100% of the winnings from your players. So at the end of the week, if your clients lost $1000, you keep all of it. You only play a small fee of $10 per player for that week depending the amount of heads you have for that week. If you had 5 clients playing, then you would pay only $50 which would amount to a healthy net profit of $950. There is another model called revenue splitting which most of the online sportsbooks use. They can keep anywhere between 60 to 80 percent of the profits from your player base using this system. So if we go with the same example of you having 5 players losing $1000 in a week, the sportsbook would keep anywhere from $600 to $800 leaving you with a measly earning of $400 max in profits. So there is no doubt from the above scenario, that bookmakers should choose to use a pay per head company over the revenue splitting model. All of the benefits of being a member of Realbookies, on the bookie’s end, come down to helping the business grow and become more profitable. Our software along with our support staff will help you expand your base, maintain solid cash flow, and promote overall business stability. The importance of working with a quality Pay Per Head service cannot be overstated. If you select a service that turns out to be lackluster, most of the benefits mentioned above will be negated. To get the very most out of a per head company, you need to find one that is reliable and reputable. As mentioned before, Realbookies.com is not the cheapest pay per head company but we are one of the highest quality in the industry. If you are looking for a cheap pph company, then read this article first before sending your hard earned business there. The first step to finding a great PPH service is looking at its “Call Center.” This is basically the nervous system of the service. It is where the day-to-day business is conducted and it is where wagers are placed, payments are handled, and questions and complaints are taken care of. Naturally, a per head company without a well-greased Call Center is not a service that you should go with. It is important to understand the differences between large per head companies and smaller PPH companies. Of course, the larger the service, the more employees they will have on staff. This is beneficial because there will be more representatives working to ensure that you and your clients are happy. It also usually means that the company has more technology (such as more computer screens and televisions) to monitor upcoming and in progress sporting events. At the other end of the stick, however, is that small companies can generally commit more time to each of their clients. Smaller PPH companies generally are more personal and work more one-on-one with their bookies. Oftentimes, small companies like us offer far superior phone support and customer service. A great bet is to track down a company that has both exceptional customer service and a reasonable amount of technology/employees. In this day and age, both small and large companies fit this bill. Pair a company that meets these two requirements up with one that has a great Call Center and there is an awesome chance that you have found a PPH company that has your best interests in mind and that will effectively handle your sports betting needs. On a side note, the employees at Realbookies are fully bilingual in English and Spanish. The concept of Price Per Head or Pay Per Head (PPH) can seem very complicated to some people at first. Basically, the concept of pay per head is having an onshore bookmaker supply his clientele with the services of a post-up offshore online sportsbook completely anonymously by using an internet-based automated sports betting software system. When a bookmaker joins an online Pay Per Head company, he rents a white label bookie software which is able to contend with the major offshore sportsbooks, providing 24-hour betting every single day. The job of a bookmaker using a PPH company is to use the company’s online system to assign clients with a username and password, and to pay a modest weekly fee to the company for providing the service. Thus, for only a small fee, the bookmaker is able to compete with the world’s largest sportsbooks and even stop answering telephone calls for wagers without owning a call center, because the Pay Per Head company can provide these services for him at a much lower rate than he could have found by himself. Once involved with the PPH service, a bookie might question the most effective way to manage his career on a daily basis. Instead of taking bets himself, the bookmaker will now send his players to a website to do their betting online, or to call the pay per head company’s call center. His customers will find betting very easy since they now have 24/7access to a countless wagering selection, client services, technical support, and the call center. Because of its ease of use, the Price Per Head concept has quickly been growing in popularity. By using PPH software to outsource their business, a bookie can get provide much more to his clients in a much shorter time than he would have been able to working independently. All it takes is for the bookmaker to direct his clientele to the website or phone number which lets them place bets with their password and PIN. The clients and the Pay Per Head service do most of the work, leaving the bookie only to do the job of checking his weekly report and paying or collecting accordingly. All it takes is a simple, small fee paid by the bookmaker for each of his customers that places a bet that week. Since the bookmaker doesn’t have to track plays or answer calls anymore, he can spend more time finding new clients instead of writing bets. Many people wrongly assume that beating the clients they already have is the trick to making a lot of money as a bookie. While you can definitely make money this way, it is more effective to find many new clients who will make new wagers. The game is on the bookie’s side, so as long as you can find new clients, the money will come in. The real advantage to using a pay per head service is that the bookmaker will now be able to devote almost all of his time to finding these new clients. Using a Pay Per Head service is very different from the old revenue-splitting method of providing offshore betting in which the agent splits winnings or losses with the offshore sportsbook. The benefits of using a PPH agency are numerous, including a greater earning potential for the bookie, better service for the clientele, improved client-recruiting capability, and much more. Although there seems to be a lot of debate over whether the PPH method is really better than the old way, looking at the facts makes it clear that PPH simply offers a greater earning potential for the same amount of work. Despite what the credit sportsbooks might suggest, using a Pay Per Head agency is really the best way for a bookmaker to make money. The method he uses really makes a difference. A credit sportsbook takes half of any bet. What this means is that if the player wins, the agency will absorb half of the loss (with the bookie absorbing the other half), and if he loses, the agency will take half of the winnings, leaving the other half for the bookie. Inner Workings Of A PPH Sportsbook? The only time the revenue-split model can be appropriate is if the bookmaker is in the practice of booking more than he can really afford. In this case, although the bookie has to fork over half of the money if his client loses his bet, he is also insured for half of the bet if the client wins. So, if the bookmaker is a real risk-taker, a credit sportsbook might seem like the better choice. However, it is simple foolishness to book more than you can afford to pay. It can often end up in your favor, but eventually this method will stop working, and you will owe a lot of people a lot of money that you simply can’t pay. With the Price Per Head market growing so quickly, it may be hard to decide which company to use. Some important things to look at when deciding on a pay per head company include: the number of years it has been in business, the licensing and legality of its location, its reputation, the offerings and services it provides, and its security of the information you provide. When a company has a check mark beside each of those requirements, you can trust that they will provide you with a great way to maximize your earning potential. As a bookie, using a Pay Per Head service will ensure that you make as much money as you possibly can.